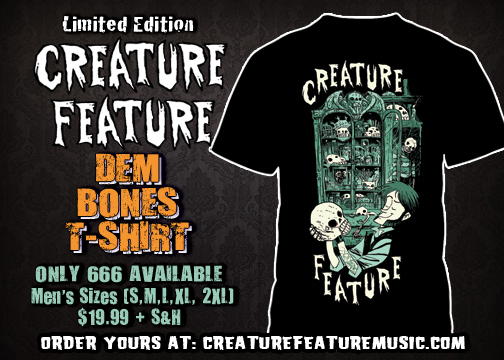 Brand New Creature Feature ‘Dem Bones’ T-Shirt! 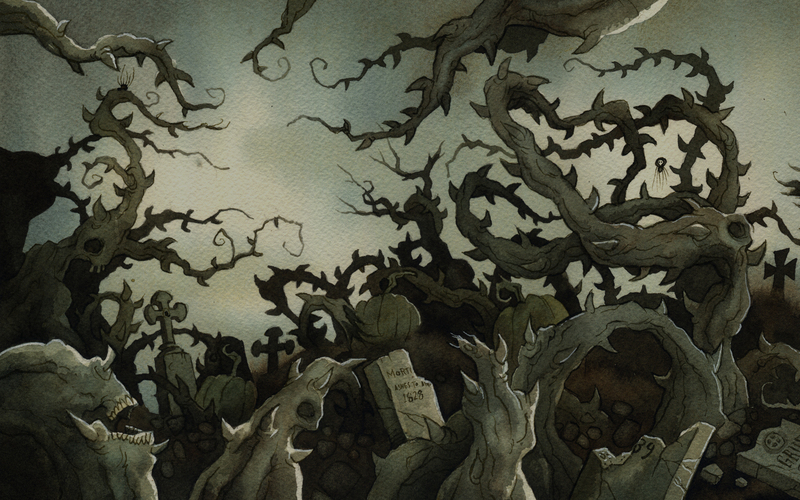 With Halloween right around the corner, we’re quickly gearing up for the spooky season again. 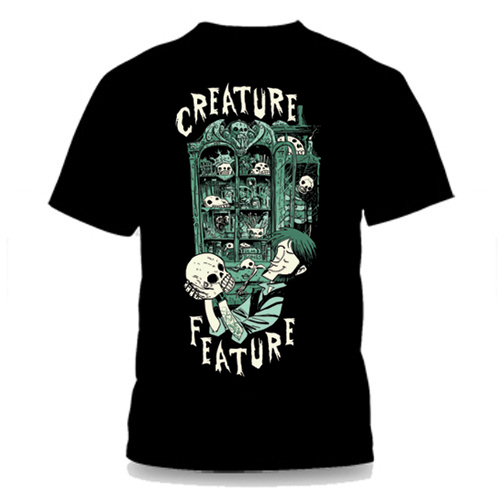 We’re proud to announce our brand new ‘Dem Bones’ t-shirt. 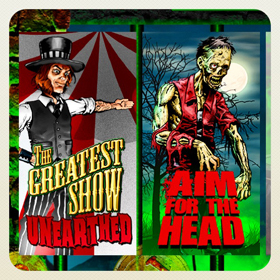 Come witness the ghoulish artifacts in Curtis Rx’s cabinet of curiosities. Order yours soon, we only have a have a limited amount available online. 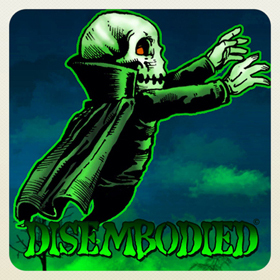 Normally we list all 666 shirts online, but this time we’re only offering a fraction of that amount for online sales.